When devastating news brings an abrupt end to a romantic rendezvous, Livvy Holland struggles to accept the death of one of her closest mentors. Livvy’s artwork has always been an expression of her emotions, and avoiding the pain she feels from her recent loss makes painting seem impossible. Her inspiration gone, she devotes her attention to the future she’s planning with Jon Scott.Blissfully happy in her own denial, all of Livvy’s free time has been given to the boy she’s always loved. Facing grown up decisions, she finds it hard to live up to her parents’ expectations of her as a daughter and an artist. 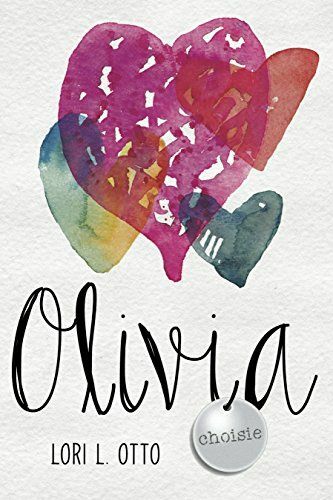 Under her father’s constant scrutiny and persistent surveillance from curious paparazzi, Livvy finds it difficult to maintain the adult relationship she’s begun with Jon.The changes in Livvy are evident to those closest to her, and a few that were once her allies begin to interfere with her personal life. This newfound attention – along with distractions that take Jon’s attention elsewhere – cause Livvy to question all the choices she’s made: what college she’ll attend, what man she should be with, and what she thought was her life’s purpose.Livvy faces her greatest challenge when Jon’s unanticipated plans derail her own. Overwhelmed, confused, and longing to satisfy her own wants and needs, Livvy must endure more heartache before finding herself.This book is intended for mature teens and adults.